"When we attend to the needs of those in want, we give them what is theirs, not ours. More than performing works of mercy, we are paying a debt of justice"
The Adoption Program provides services to all parties involved with the adoption process. Our services are designed to help preserve and protect the life of the child, provide care and nurturing for women and children, and assists in the building up of families through adoption. Our Post Adoption Services program seeks to offer a continuum of care that respects the interest of adoptees, birth parents, and adoptive parents. 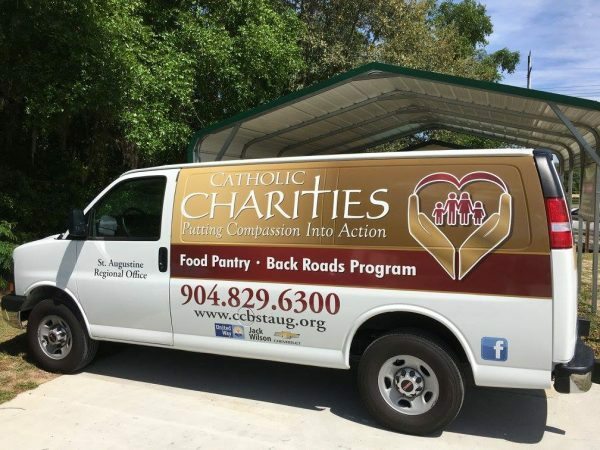 Services are available to those who were involved in adoptions through Catholic Charities Bureau, Inc., Diocese of St. Augustine; Volunteers of America in Jacksonville and St. Mary’s Home in Jacksonville, FL. Our services are available to all persons within the adoption triad. The Pregnancy Counseling Program provides services and advocacy for women experiencing unplanned pregnancies and their families. Our goal is to assist, encourage and accompany women in making positive and life-affirming plans for themselves and their unborn child. Bridges to Prosperity is a financial literacy program located in our Gainesville Regional Office. The goal of the program is to help individuals and families move from poverty to self-sufficiency. The program is designed to look at the core issues surrounding poverty and its impact on the community. For many, a culture of day-to-day survival prevails. Access to education, jobs with sustainable wages and benefits, supportive relationships, permanent housing and the opportunity to build a stable future are not likely when focus and energy are directed at merely getting by rather than getting ahead. The program is a three-part program which begins with a financial fitness course where participants set savings goals, learn how to create a budget, develop a spending plan, and managing and improving credit. Part two, involves sixteen-part course Getting Ahead in a Just Getting by World. The course helps individuals in poverty build their resources for a more prosperous life for themselves, their families, and their communities. Part three involves matching graduates with community mentors to work together toward their self-sufficiency goals. For more information regarding Bridges to Prosperity, please email James Dixon at jdixon@ccgnv.org. 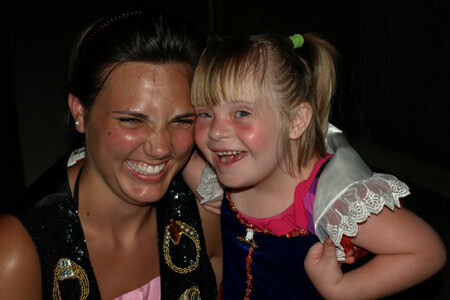 Camp I Am Special offers both a six-day residential and five-day day camp summer camp experience for children, teenagers and adults who are challenged by physical, emotional and mental disabilities. Camp’s strength lies in its diversity and creativity by making inclusion important through fostered friendships between Campers and Buddies. Campers develop their social skills, grow in independence and make lifelong friendships. An accredited program, Camp I Am Special has certified staff and volunteers who are trained in safety and security, person-first language, seizure protocol, swimming protocol, adaptive environments, lifting and transferring, positioning, food safety, CPR, First Aid, and AED use. Registered nurses are onsite 24 hours per day to care for special medical needs of Campers, administer medications and respond to any emergencies that may occur. Each Camper is assigned a volunteer high school buddy for one-on-one care of the Camper while they are at Camp. For more information on Camp I Am Special please contact (904) 230-7447 or campiamspecial@ccbjax.org. The Emergency Financial Assistance Program is a proven and recognized way to prevent homelessness. The program serves those in our community who in distress and struggling to pay utility bills, rent/mortgage or in need of food. The main focus of the Farm Worker Ministry is to assist farm working families in Crescent City and Green Cove Springs areas. Ministry staff is also involved in advocacy efforts to improve living conditions of farm working families. Food is one of the most basic human needs. Many people are forced to choose between food and other basic necessities such as rent, utilities or medical care. Through our food pantries, we provide perishable and non-perishable foods, including fresh produce, dairy, meat and traditional staples such as cereal, canned vegetables, rice and beans. Food assistance is provided in all four regional offices. Hours of operation vary from region to region. Florida Gateway Food Bank collects and distributes food to hunger-relief non-profit organizations who provide the food to the people they serve. The Florida Gateway Food Bank serves Columbia, Hamilton, Suwannee and Union counties. For information on becoming a partner agency please contact David Boozer at valleyf@belsouth.net. If you like more information regarding geographical location each regional office serves please visit our HOME page and mouse over the map. Immigration Legal Services assists individuals, families and communities to understand the immigration and naturalization system and assist them with the legalization process. The program, recognized by the Department of Justice (DOJ), provides affordable, fee-based services to individuals by or under the supervision of a DOJ accredited representative to renew their Green Cards or employment authorization cards, file family petitions and help immigrants find a path to citizenship.To learn more about our immigration legal services or how we can help, contact us by email Iraida Martinez at IMMTEMP@ccbjax.org. Facilitating successful transitions into the US for individuals and families. A refugee is a person who has been forced to leave their country in order to escape war, persecution or natural disaster. 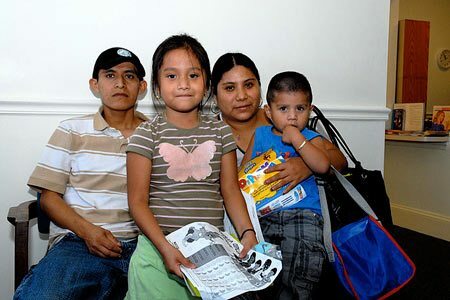 For more than 30 years, Catholic Charities Jacksonville has partnered with the federal government as well as the United States Conference of Catholic Bishops (USCCB) to welcome people fleeing violence and/or persecution. Refugee Services assists newly-arrived eligible clients in obtaining employment, learning English, acquiring job skills and overcoming legal or medical difficulties. The Weekend Hunger Backpack Program was designed to supplement meals for children, who depend on their school for breakfast and lunch, during the school week. Lack of access to a nutritious and adequate food supply has implications not only for the development of physical and mental disease, but also behavior and social skills. Food insecurity has been linked with diabetes, hypertension, cardiovascular problems, higher levels of anxiety and aggression. It has also been correlated with slower development of social skills. Backpacks are designed and filled with nutritious food and sent home on Friday with enough food for the children and their siblings during the weekend. Our weekend Hunger Backpack Program is in our Gainesville and St. Augustine Regional Offices. 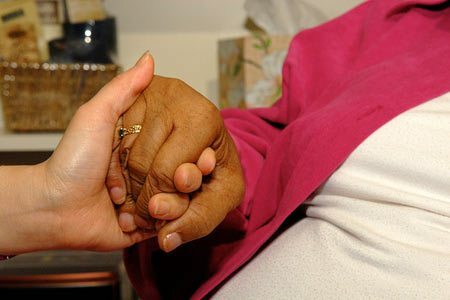 The Program serves low income persons who are unemployed or underemployed and cannot find or maintain employment that provides financial stability.These are individuals who typically do not have contacts to open doors for them and often lack the experience, education, vocational or job readiness skills they need.The program offers a level of personal one-on-one support that is not available through community resources.WorkSource, the primary employment service in our community, serves more than 100,000 annually and cannot provide one-on-one-support or actual job placement.Other local programs such as:Clara White, MHRC/RCI, Vocational Rehabilitation, Pine Castle, the Webb Center, Experience Works, THORMINC, and the ARC serve only specific populations such as the homeless, disabled, elderly, ex-offenders, refugees, or persons with substance abuse or mental health issues. The target audience for the program is low-income, unemployed or underemployed persons 18 years and older who are at risk of eviction from their homes, live in Baker, Clay, Duval, Nassau or St. Johns County, and can legally work in the U.S. If you would like more information regarding our programs and services, please call us at 904-899-5500 or use our contact form on the side.